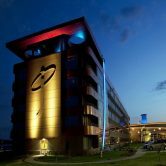 Open Daily 7 a.m. – 5 a.m.
Jumer’s Casino & Hotel, conveniently located near Davenport, Bettendorf, and Moline Jumer’s has some of the best casino games, restaurants and hotel accommodations available in the Quad Cities. From Bettendorf to Rock Island, Jumer’s has all the fun and excitement of a Las Vegas-style casino. 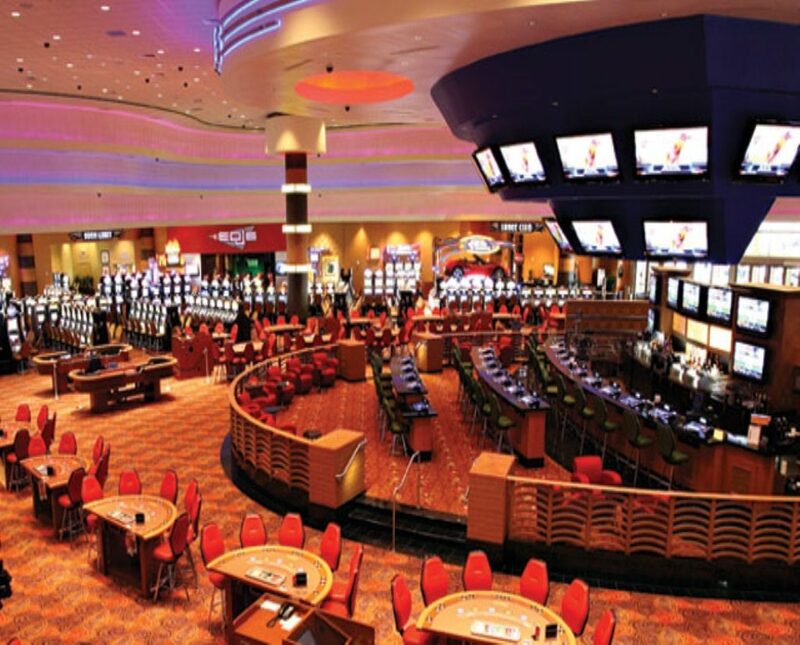 Over 42,000 square feet of gaming, containing nearly 1,000 slot machines, 22 table games including a craps table and roulette, live poker and a high limit slot room, all on one convenient, spacious and luxurious gaming floor. 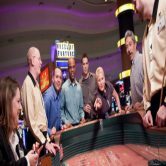 Whether you’re looking for video poker in the sports bar, the excitement of a craps table, or a great players club, you’ll be sure to find it at Jumer’s casino. If you’re looking for even more non-stop action be sure to visit our poker room where you can find some of the most exciting poker tournaments and some of the best three card poker tables in the Quad Cities. 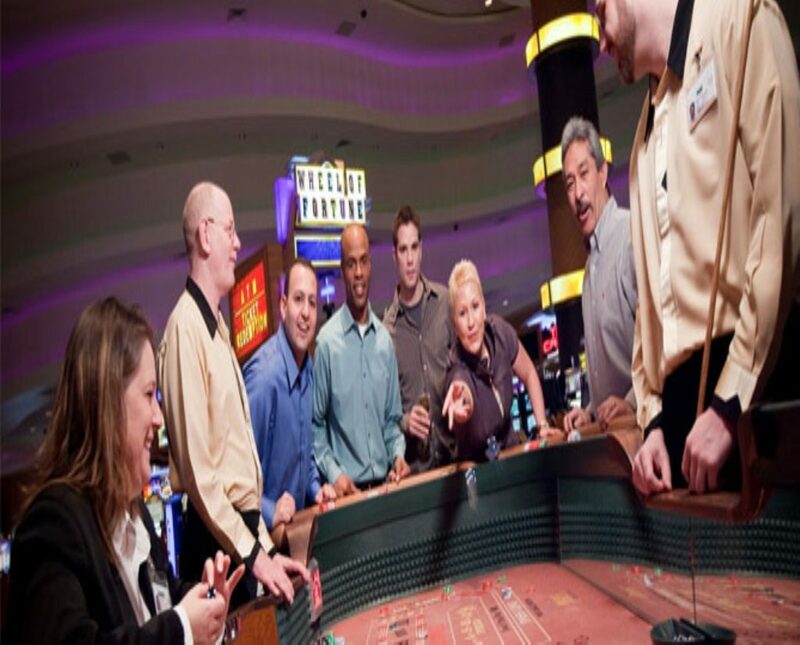 Be sure to join the Jumer’s Players Club where you can take advantage of even more gaming opportunities! When you become a member of our players club you’ll receive exclusive comps, promotions, play points, and more! 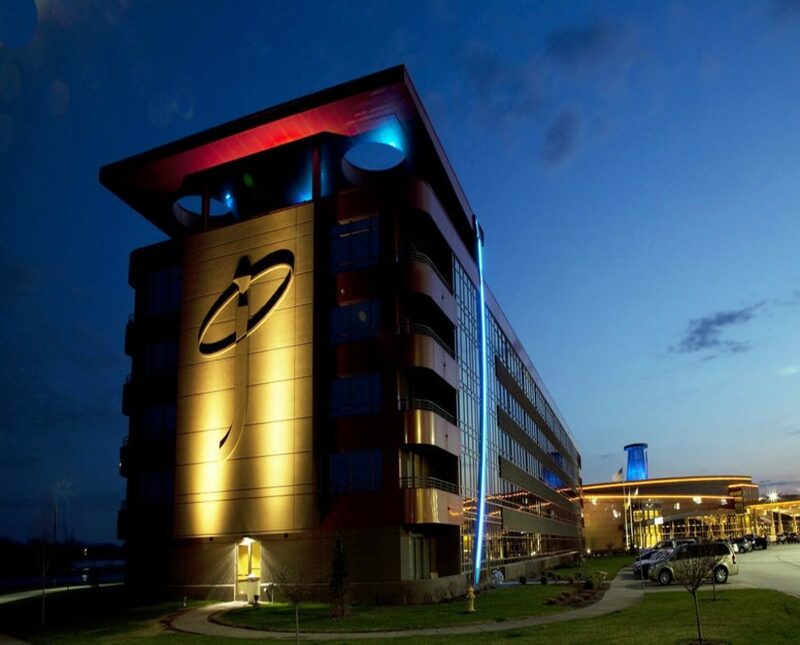 Don’t forget to take advantage of everything else offered at in addition to our many gaming offerings, including our energetic nightclub, exciting sports bar (featuring additional bar top video poker), and relaxing getaway golf packages. 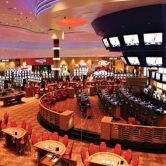 With nearly 1,000 slot machines you’ll be thrilled with the variety of slot games at Jumer’s Casino and Hotel in Rock Island IL has to offer. Every machine offers 100% coinless-Ticket-In Ticket-Out convenience. New games are constantly adding a fresh experience when you visit Jumer’s Casino & Hotel located in Rock Island IL. You’ll never be bored at Jumer’s Casino with great games like Lightning Links™, Wheel of Fortune™, Hot Shots™ and Tarzan™. 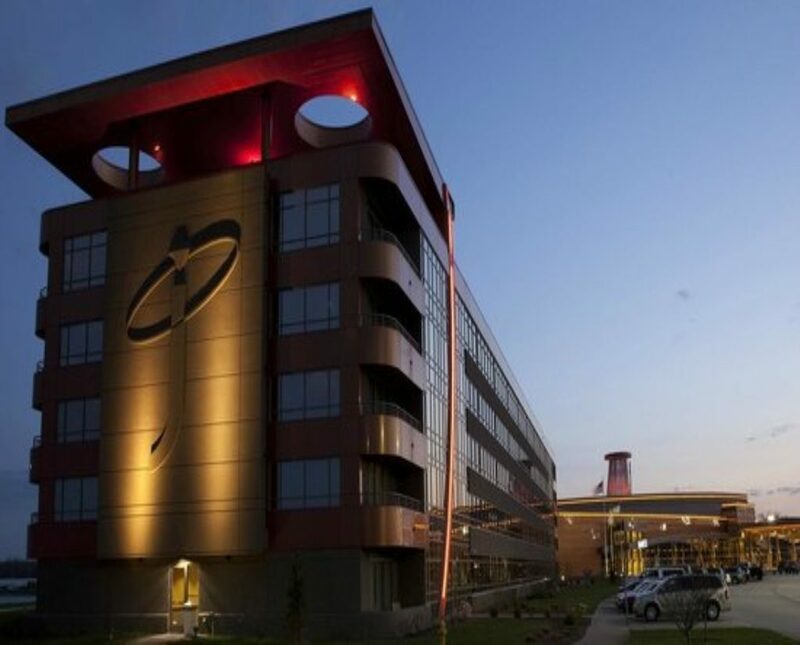 Jumer’s Casino and Hotel in Illinois has over a score of progressives to add to the mix. And, don’t miss our two mystery slot banks, Caper and the only-one-in-the-market Car Bank! Any coin and any combination can win a new car at any time!!! 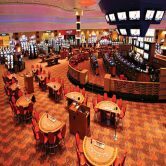 From one cent to $25 games, including a high limit slot room, Jumer’s Casino and Hotel Rock Island has your game. And, if video poker is your game, then you are in for a treat with over 100 games from which to choose. Plus, you’ll enjoy playing at the Oculus Sports Bar in the center of our casino with video poker games and 24 big-screen TVs carrying all the big sporting events. At Jumer’s Casino & Hotel in Rock Island, IL, our friendly dealers make playing our games special. 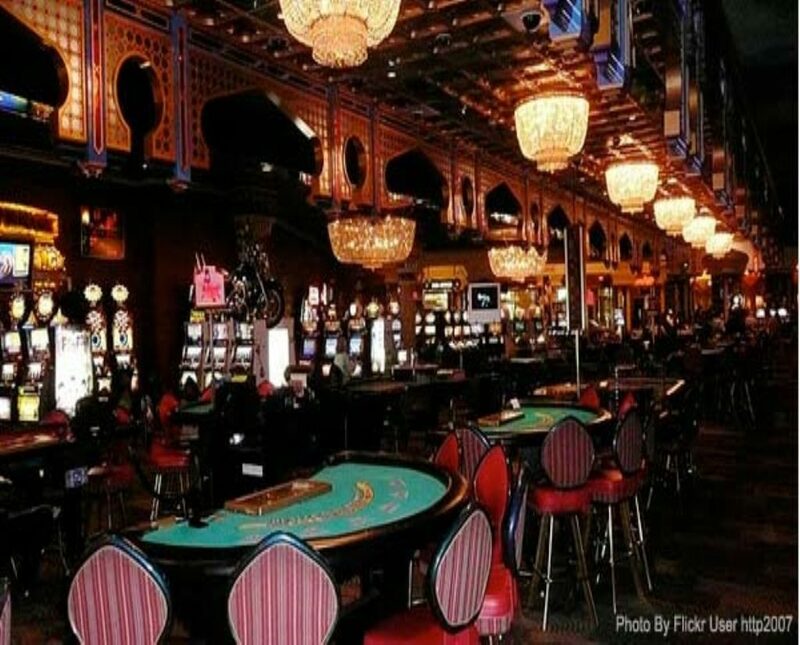 Whether you choose blackjack, roulette, craps, Mississippi Stud or Three Card Poker you’ll never want to leave the comfortable surroundings of Jumer’s Casino and Hotel in Rock Island. And, what would any casino be without poker? That’s why we have a dedicated live poker room at Jumer’s Casino and Hotel in Illinois, designed with you, the player, in mind. Three Card Poker are trademarks used under license from SHFL entertainment, Inc. 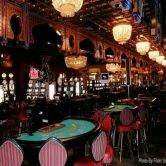 The action is non-stop at Jumer’s Casino & Hotel, conveniently located in Rock Island, IL, near Bettendorf and Davenport, IA. And if you really want to get your adrenalin pumping, enter one of our regularly hosted poker tournaments. Our spacious and comfortable Poker Room is the perfect setting to play your favorite games. Our casino offers six tables to try your luck at Texas Hold ‘Em and Omaha. You can’t win big if you don’t play! Combine our action-packed Poker Room with the chance to take home the ever-growing Bad Beat Jackpot and you’ve got an unbeatable combination. Jumer’s introduces the white-knuckle excitement of our Live Texas Hold ‘Em Poker Tournaments. Whether you’re coming from Davenport, Bettendorf, or somewhere further away, come test your hand at one of our tournaments, which are held every Sunday, Tuesday and Wednesday. Sunday at 1 p.m.: Deep Stack Tournament. $100 buy-in. $15,000 in tournament chips. Tuesday at 7 p.m.: Tuesday Turbo. $40 buy in. $5,000 in tournament chips. Wednesday at 6 p.m.: No Limit Hold ‘Em Tournament. $40 buy-in. $5,000 in tournament chips. To participate in one of our exciting tournaments, make sure you register with the evening’s host up to two hours prior to tournament start. Cash game players have priority, and all players waiting to be seated will be called on a first come, first serve basis. Poker Room Hours: 12pm-4am Tuesday-Thursday, 11am-4am Friday-Sunday. Closed Monday. Interested in joining in on a Poker game? Call our Poker Room Line if you’d like to put your name on the Poker Room list at Jumer’s Casino Hotel. All names will stay on the list for one hour. You must check in at the Poker Room podium prior to one hour to keep your name on the list. Jumer’s Casino features more than one hundred video poker games and some of the best machines near Davenport, IA to choose from. Think of the old classic table game with a digital update for the modern poker player. Video poker machines at Jumer’s Casino let you play with a virtual deck and collect your payout when you play a winning card combination. If you’re looking to maximize your video poker play, make sure you try our Penny Video Poker. Now you can play six of our most popular Game King® Multi-Games, for just a penny. Quick Quads Poker is based on the popular Triple Play™ Poker game. Wager one extra coin per hand to qualify for buy-a-pay bonus feature that turns 3-of-a-kind into 4-of-a-kind when the sum of the 2 non-matching cards’ face values is equal to the rank of the 3-of-a-kind. You can win twice as many 4-of-a-kinds as a typical game on this machine. Ultimate X Poker has a bonus feature that awards multipliers up to 12X! Bonus multipliers are determined by the player’s current hand in play and applies to the next hand. An experience similar to that found in multiple payline video slot games. From penny games to ultimate bonus machines, Jumer’s Casino & Hotel is the place to get in on the video poker action. Whether you’re coming from Bettendorf, Davenport, or somewhere further, come put your video poker skills to the test when you stay at Jumer’s Casino & Hotel. The fun doesn’t stop there though! If you’re looking to expand your gaming experience be sure to check out everything else we have to offer as well! Visit our spacious and comfortable poker room to try your hand at one of our 6 tables offering Texas Hold’em and Omaha, or explore our casino floor featuring over 1,000 slot machines and 24 table games! 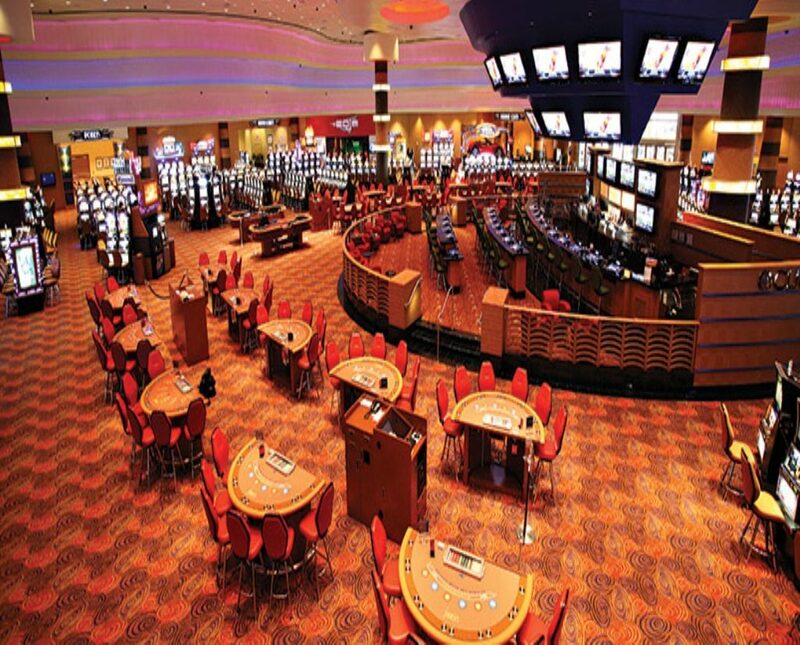 With over 42,000 square feet and 14 first place awards from Casino Player and Midwest Gaming & Travel magazines we’re sure you’ll find what you’re looking for when you play at Jumer’s Casino & Hotel! Win big at Lucky North Casino – your new favorite FREE casino! Play real casino slots, double down in blackjack or blitz through Delaware North themed bingo! Lucky North Casino features all of your casino favorites- slots, video poker, blackjack, and bingo- all FREE and all FUN! ✩ Spin the daily bonus wheel every day for more FREE Coins! ✩ Collect more coins every 2 hours! ✩ Tap Blast- Tap the screen to earn FREE Coins while the game downloads! ✩ Unlock real and customized slot machines featuring Gems Wild Tiles™ and more! ✩ Your favorite slot features: expanding wilds, scatter bonuses, free spins, and mini-games! ✩ 10 variations of video poker including the WORLD-FAMOUS Multi-Strike Poker™! ✩ Start spinning and winning with 30,000 coins! Connect with Facebook to save your player data and earn 25,000 more coins! ✩ More slots, bingo, and features added regularly! Lucky North Casino is the brand new social casino brought to you by Delaware North – a worldwide leader in global hospitality and gaming. Test your luck and spin to win in this new free casino with more ways to play! 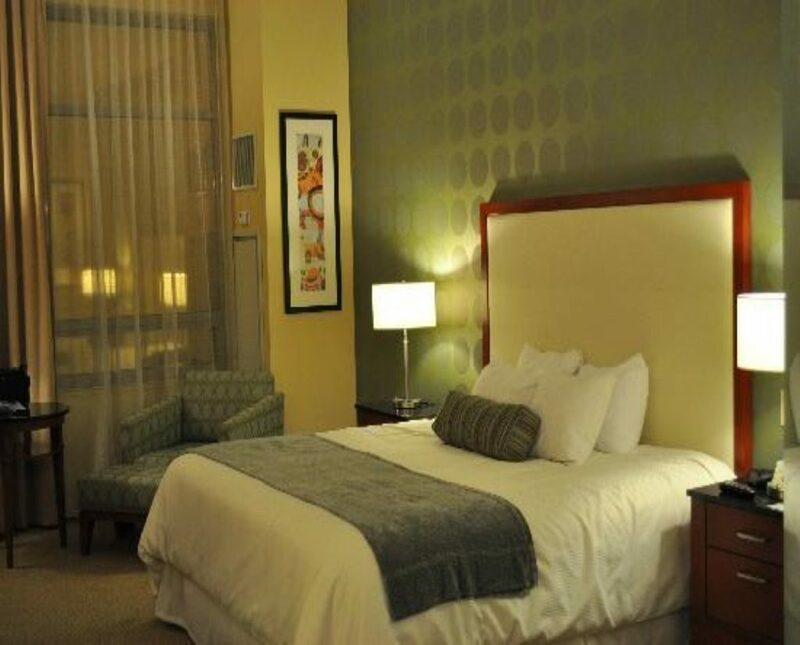 Jumer’s Casino & Hotel is the perfect fun and exciting escape. And with the Jumer’s IMAGE Players Club, you’ll earn exciting rewards and benefits. Jumer’s is filled with all sorts of entertainment, from a salon and day spa to Chicago style nightclubs and many of the Quad Cities top restaurants. During the 1950’s D. James Jumer was a successful franchisee and corporate officer of Chicken Delight Restaurants in Detroit, Michigan and Washington, D.C. In addition, he had successfully developed an exclusive restaurant and club in the Costa del Sol of Spain. Originally from Duluth, Minnesota, Mr. Jumer became eager to return to his Midwest roots. So, in 1960, he acquired Kramer’s Restaurant in Peoria, Illinois, having selected this community due to its thriving business and energetic pace. He successfully converted and expanded Kramer’s into the Jumer’s Castle Lodge, Peoria, Illinois. Later hotel business expanded to include Jumer’s Castle Lodge, Bettendorf, Iowa, built in 1973; the Castle Lodge of Urbana, Illinois; and in 1988, the Jumer’s Chateau opened in Bloomington, Illinois. A former Sheraton Hotel in Galesburg, Illinois was acquired in 1982 and was renovated to become Jumer’s Continental Inn. In 1988, Mr. Jumer, now with a successful chain of hotels in operation, expanded his business ventures by constructing The Peoria Boatworks Complex. This unique entertainment complex featured the Spirit of Peoria, an excursion boat with restaurant facilities seating over 400. That operated daily excursions along the Illinois River. The excursion boat was complemented by two permanently moored tug boats. One vessel was the Katie Hooper. This tug boat was converted into a restaurant and the second tug, the Belle Reynolds, was converted to a nautical museum. This development greatly enhanced the Peoria waterfront and was strongly endorsed by the City Council and the citizens of Peoria. A year later in 1989, the state of Iowa became the first state in the union to allow riverboat casino gaming. This precipitated the state of Illinois to pass similar legislation and provided the opportunity for Mr. Jumer to begin a new career in casino gaming. Riverboat gaming became operational on April 1, 1991 in the Quad Cities. The cities of Davenport and Bettendorf, Iowa were the first communities to offer this new entertainment experience. One year later, in March of 1992, the Rock Island Boatworks, featuring the Casino Rock Island, began its gaming cruises. The Rock Island Boatworks borrowed its facilities concept from the successful Peoria Boatworks Complex. Located in Rock Island, Illinois, the Boatworks was a series of four connected individual floating vessels. They were the Casino Rock Island Riverboat Casino, the Ockerson, the T.G. Gerow and the Effie Afton Tugboat. The last three vessels were all permanently moored. The Casino Rock Island Riverboat and the Ockerson were utilized as a casino. The T.G.Gerow housed the primary Administrative Offices and the Effie Afton Tugboat was a restaurant for the project. Casino Rock Island had a dramatic impact on the City of Rock Island. The Jumer operation made a concerted effort to work with the businesses in the local community, and from that, the downtown Rock Island business area became “The Rock Island Arts and Entertainment District.” The District currently, is an alive, vibrant place to live, enjoy night life as well as additional retailing opportunities. 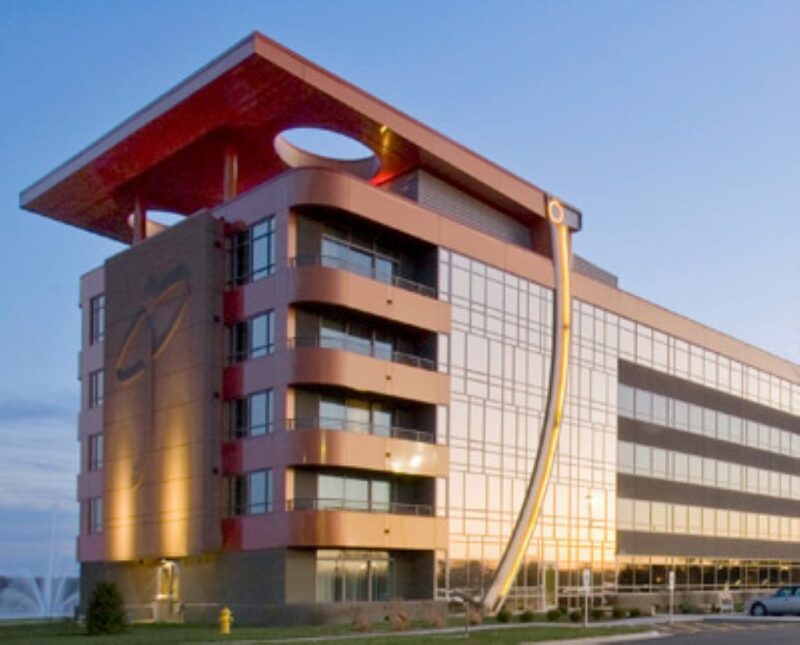 On December 1, 2008, Jumer’s opened a new facility and re-branded itself, Jumer’s Casino & Hotel. The all new, state-of-the-art development features a 43,000 one level casino floor; a 205 room hotel with 11 luxury suites; an Events Center; the Oculus Sports Bar; the Edje nightclub; and four restaurants: the Top Hat Deli, the Lakeside Café, the Player’s Buffet and DJ’s Steakhouse, named after our founder, D. James Jumer. 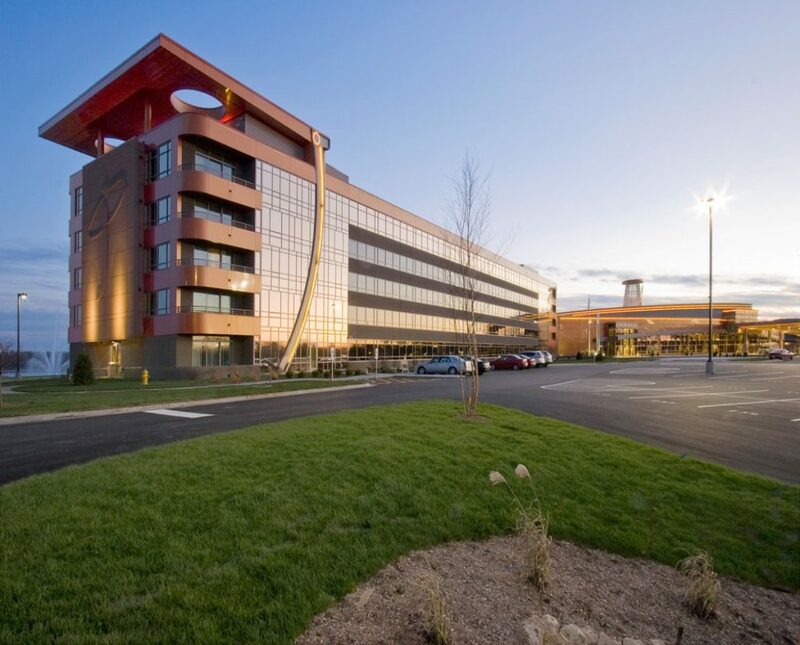 On April 27, 2011, Jumer’s completed a sale to Delaware North Companies, a global leader in hospitality and food service with more than 50,000 associates serving half a billion guests each year. 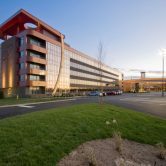 Among its many assets are several world-renowned resorts and Boston’s TD Garden, widely acclaimed as one of the top three sports and entertainment venues in the United States. 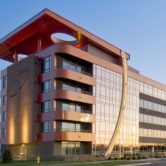 On May 4, 2011, Delaware North Companies officially named the Jumer’s event center the D. James Jumer Event Center in honor of Jumer’s Casino and Hotel founder, Jim Jumer. In addition, in recognition of past president, Ronald E. Wicks, it officially named the lake adjacent to the casino and hotel, Wicks Lake. On March 1, 2012, Jumer’s opened the Blue Square Café and Blue Square To Go. The Blue Square Café and Blue Square To Go was created in the space previously occupied by the Lakeside Café and Top Hat Deli. The name comes from the blue square that is the main element of the Delaware North Companies logo. ***HOTEL REVIEW ONLY*** Didn’t eat at the restaurants (only the cafe) nor play at the casino this visit. I’m fond of taking advantage of casino hotels. Built-in restaurants, built-in casino entertainment if I get bored, and of course, usually-gorgeous rooms. I’ve stayed in the Isle and now, Jumer. I must admit, I really, really prefer Jumer’s after this initial visit. Friendly staff, gorgeous rooms, great floorplan and good amenities have made this one win out. Jumer’s is located right off the highway. There’s a lot of fast food options (including a local Maid-Rite!) within a 10 minute drive. Within 20 minutes, you’ll find a Target and all sorts of other restaurants. -Staff was insanely friendly. I was greeted by casino bouncers when I walked by. Cafe staff was super friendly and happy to answer my questions about coffee options they had. (A coffee on demand right down the elevator from my room? Amazing.) The front desk was more-than-happy to grant my request for a later check-out, and they moved my assigned room to a higher floor when I asked. -The bathrooms are spacious and gorgeous. The shower includes a large, frosted panel that’s visible from the bedroom. Lots of glass, well-folded towels, and a spacious, luxurious design. My only complaint is that I’d like to see an optional night-light or something in the bathrooms. Glass is clear and hard to see in the night, and most people aren’t used to a sheet of glass standing between them and the toilet for middle-of-the-night visits. -Pool and hot tub were clean. Pool isn’t probably large enough for exercise swimming, but it’s more of a small, social-swimming design. -Fitness equipment is pretty thorough too. Ellipticals, cycling bikes, treadmills, free weights and multiple benches, a yoga ball, and weight-lifting machine equipment including a leg press. You can manage a full-body workout in this place – and everything was in working order. -The floorplan at Jumer’s is pretty well-thought-up. You walk in, and you’re met with the casino, restaurants openings, the cafe, and hotel check-ins. Conference areas, the spa, the fitness room, and the pool are slightly outside of the center area. You’ll do a bit of walking, but it’s nothing bad, and you’ll be comfortable navigating around it within an hour of arrival. -Complimentary valet parking. If you’d rather not hassle with it, the parking lot is relatively close to the building. On busier nights, though, expect a little bit of a walk from it. -Entire casino and hotel is non-smoking. No preference for me, but I’m sure that’s a huge plus for some people. -Room was entirely clean. Glass panels were spotless. Towels were pure white and perfectly folded on the edges. Bedding was great too, and everything worked fine. -Key cards must be removed from any container to be used. This includes the cardboard container that they provide to hold them. This is a minor complaint, but it’s slightly annoying to not be able to just slide the cardboard packet against the NFC sensors. -There’s really no way to turn on the shower without being hit with an initial blast of cold water. In their defense, the water is scalding-hot within 3 seconds of turning on the water. So you don’t have to brave the cold for long, but man, that’s so cold. -The shower in the hotel rooms are equipped with this GORGEOUS frosted panel that’s viewable from the bedroom area. (You can see it in my photos). For King bedrooms where you presumably are intimate with the person you’re sharing a bedroom with, this is fine. For two-queen set-ups or traveling with non-intimate people, this might feel odd. However, the frosted panel does a good job with the “frosting”, and only very vague body outlines are visible – a blurry shadow at best. -The weight-lifting equipment uses designations of “1, 2, 3…” for the weights. I have no idea how much weight a “6” is, but that’s what I was lifting. It might require some trial and error to find the right weight for you. 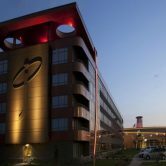 I wish we would have booked a room and stayed here while visiting the Quad cities. Nice smoke-free environment and they had blackjack machines which seem to be hard to find. Stop and play a few machines, just don’t go crazy! Came back to stay this time! The rooms were very nice, even if the bathroom was a little weird. We had two beds (our adult daughter was staying with us) and the bathroom has frosted glass in the wall facing the beds. The shower is next to the frosted wall, so you don’t want to shower too enthusiastically or everybody gets to see a nice silhouette of you. If we were alone in the room it would have been fine. Staff here is pretty nice and we enjoyed our stay. This is the best casino in the Midwest! Even though I am a smoker I like the non smoking atmosphere here. 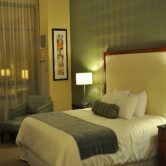 The rooms are very clean and the beds are comfortable. The bathroom is large with a walk in shower and the staff here is top notch. My girlfriend and I frequent this casino often and we thoroughly enjoy the live bands they have here during the weekend outside during the summer. Overall a great experience. Walking around d the casino with my black and gold Bruins jacket, several employees told me that that the owner also owns the Boston Bruins which is my absolutely favorite team! Awesome experience every time we visit.